My friend made the perfect reading nook for her daughter out of her old playpen. If you have one laying around, why not repurpose it and give your kids a fun new place to read! Carefully cut out the screen on one of the long sides using a pair of scissors or a knife. 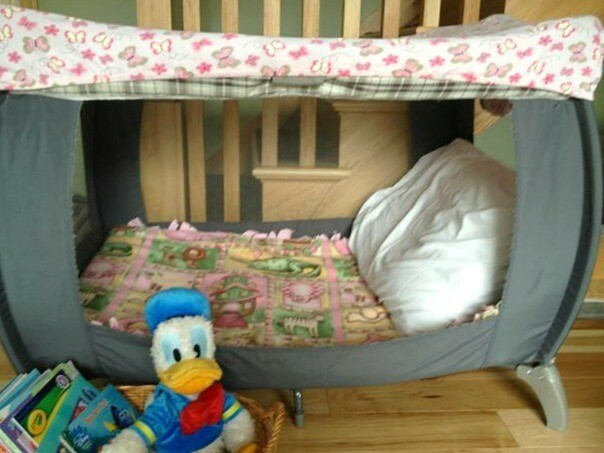 Put the fitted sheet over the top of the playpen to create a roof. 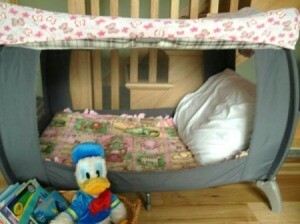 Layer the inside of the playpen with blankets and pillows to give your kids a comfy place to curl up and read a book.